I bought these Baby Bee® Wipes with Aloe & Vitamin E, Fragrance-Free (Chlorine-Free) by Burt's Bees to take on a camping trip. They kept my skin clean and didn't irritate it! Mamas asked. Nature heard. 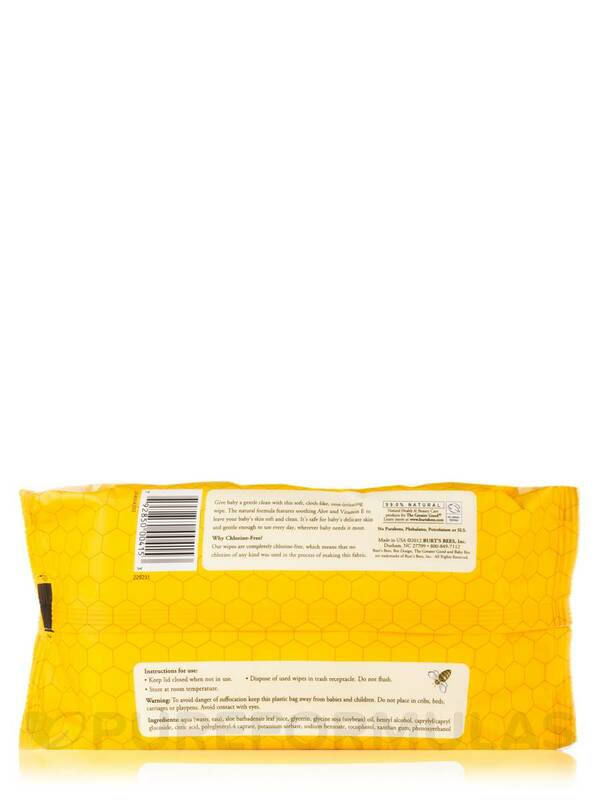 Meet Baby Bee Chlorine-Free Wipes. Super soft and non-irritating‚ these cloth-like wipes are lovingly made with Aloe and Vitamin E. So baby's skin is left smooth and super clean. Safe and gentle for everyday use‚ no matter where they're needed‚ these gentle cloths were born to care for your little love's delicate skin. Why Chlorine-Free? 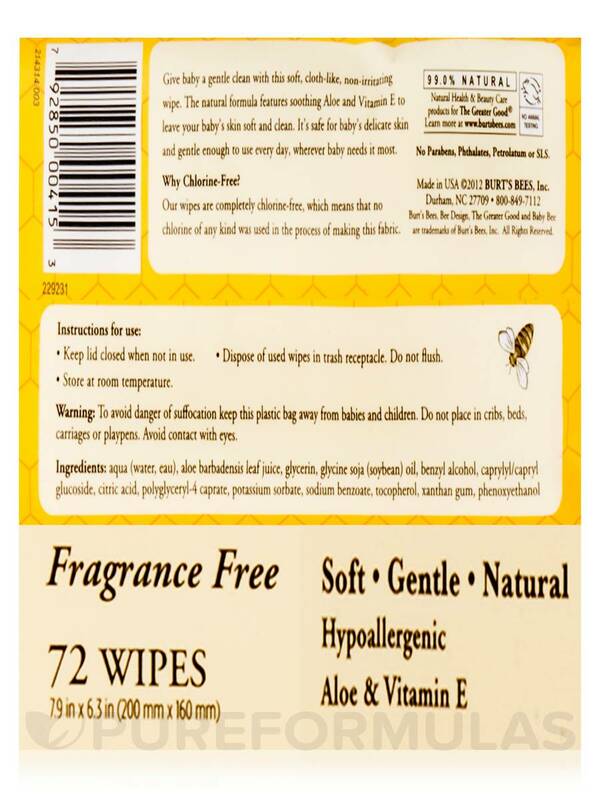 Burt's Bees wipes are chlorine-free. Which means that no chlorine of any kind was used in the process of making the fabric. Aqua (water‚ eau)‚ aloe barbadensis leaf juice‚ glycerin‚ glycine soja (soybean) oil‚ benzyl alcohol‚ caprylyl/capryl glucoside‚ citric acid‚ polyglyceryl-4 caprate‚ potassium sorbate‚ sodium benzoate‚ tocopherol‚ xanthan gum‚ phenoxyethanol. Fragrance-Free / Hypoallergenic / No Animal Testing. No Parabens‚ Phthalates‚ or petrochemicals. Dispose of used cloths in trash receptacle. Do not flush. To avoid danger of suffocation keep this plastic bag away from babies and children. Do not place in cribs‚ beds‚ carriages or playpens. 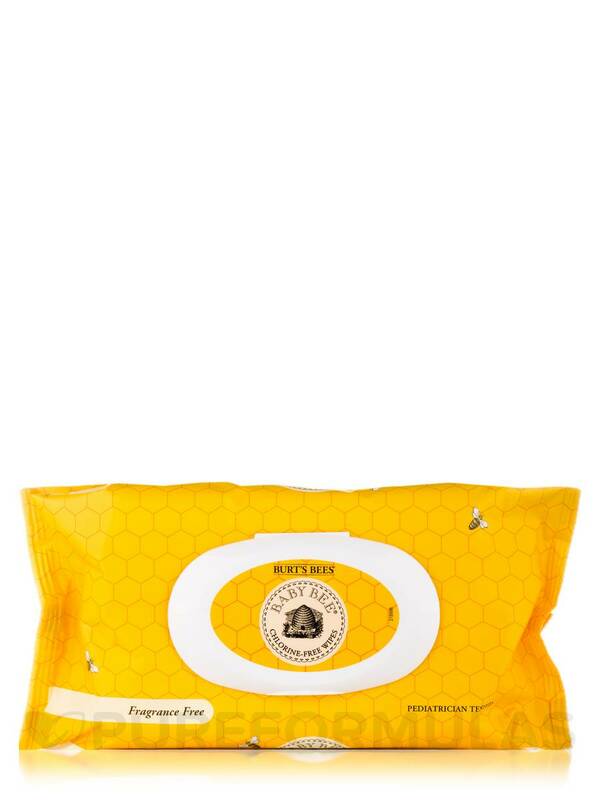 These Baby Bee Wipes with Aloe & Vitamin E by Burt's Bees are perfect and very useful. I am very satisfied with this product.